Appearing on the Tucker Carlson show Liberal Dem. Rep.Tulsi Gabbard defended President Trump's move to stop sending arms to Syrian rebels. 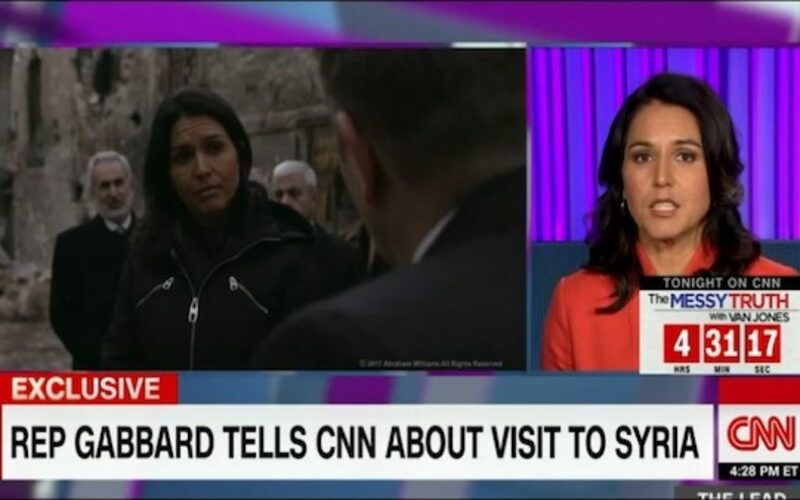 Tulsi Gabbard: For the benefit of your viewers, let's talk about what this CIA program actually was. It has been widely reported that for years now, the CIA was providing arms, intelligence, money, and other types of support to these armed militants who were working hand in hand, and who are working hand in hand, and often times under the command of al-Qaeda in Syria. This isn't a matter of giving weapons to people, but they end up falling into the wrong hands. We are directly arming militants who are working under the command of al-Qaeda, all in this effort to overthrow the Syrian government. Anonymous enters war on ISIS as Obama defends failing efforts! Progressives finally begin to question benefits of Arab Spring!